Submit Comment for Any suggestions for starting to RV instead of living in hotels for an on-the-road consultant? Any suggestions for starting to RV instead of living in hotels for an on-the-road consultant? 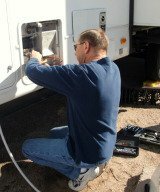 Return to Any suggestions for starting to RV instead of living in hotels for an on-the-road consultant?.